The DWP is a miniature, high quality switching power supply for all of AJA's H-series and D-series stand alone products. Custom manufactured for AJA, the DWP is so small it does not cover the adjacent socket in power strips. 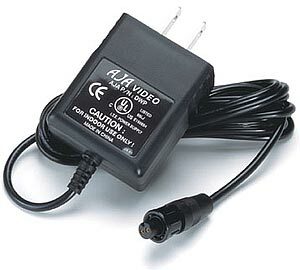 With a 2x power over-rating and a molded, latching, circular connector with gold pins, the DWP meets the high reliability requirements of the professional video industry.